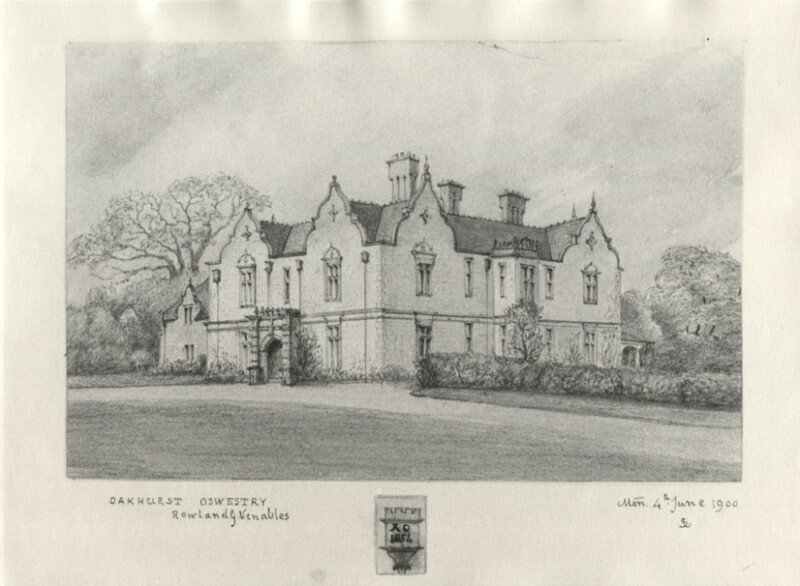 This house is within a mile of Owestry on the Selattyn road. It was built about 1850 by Mr. Rowland Venables, a grandson of Mr. Lazarus Venables of Woodhill. The shrubberies are prettily laid out and there is a fine view from the windows. Mount Sion was the name of the house which formerly stood on this site. The family of Venables. originally of Cheshire, became connected with Oswestry in the 18th. century; and one branch resided at Woodhill. Archdeacon Venables, and George Venables Q.C., and the Lister Venables of Llysdinam. co. Brecon, belonged to the same family. The house commands an extensive view towards the Breidden, sad the Shropshire hills and plains, and stands in the midst of fine timber.